click on “play” – both videos should be ok.
And this performance of ‘Pressing on’ has a verse not used on the LP. It was only used on the concerts Nov 1, 2 and 3.
thanks -would have loved to have been at the concerts around this time. you have done the next best thing for me bro. God bless. THANK-YOU! My girlfriend Julie and I were at the Warfield, Nov.2 concert – and it was great! The entire audience rocked out, and I – not being Christian – enjoyed it as much as any Jesus-Freak. I was working at Dolby Labs, San Francisco, at the time, and I was surprised how many people there were angry at Dylan for “becoming a Jesus-Freak” – and these were Christians! Still don’t understand that……………………..cheers! Yes, the times have changed. To understand those concerts fully in their historical context you have to see how they were received, at least by some, I would say the majority, of the “experts” at the time. The Newborn Bob Dylan music is more then great! Even for a person how does not believe in any kind of God like myself. But it seems to put Dylan in strong feelings and it works in his performing. Great Great site! Thanks for sharing. Exceptionally creative period of writing. 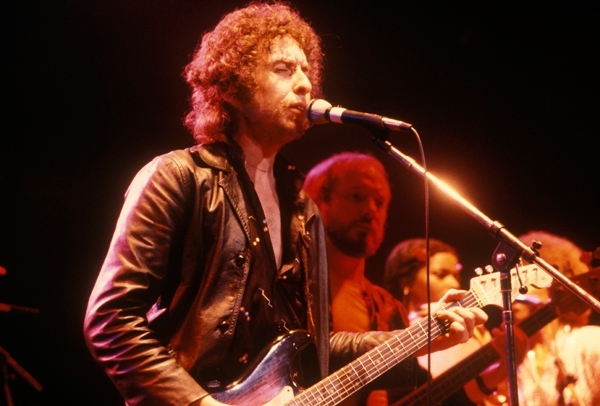 Slow Train is just as relevant today as it was 30+ years ago. Great show even without Mark Olson. Keep the great posts coming! The Jayhawks – Great Band! We saw them in Oslo a couple of years ago (w/ Mark Olson). Hollywood Town Hall (1992) is a classic. The posts will keep flowing as long as we’re breathing.. I was free to walk around and shoot pretty much undisturbed from any vantage point in the theater. Boy, have times changed!